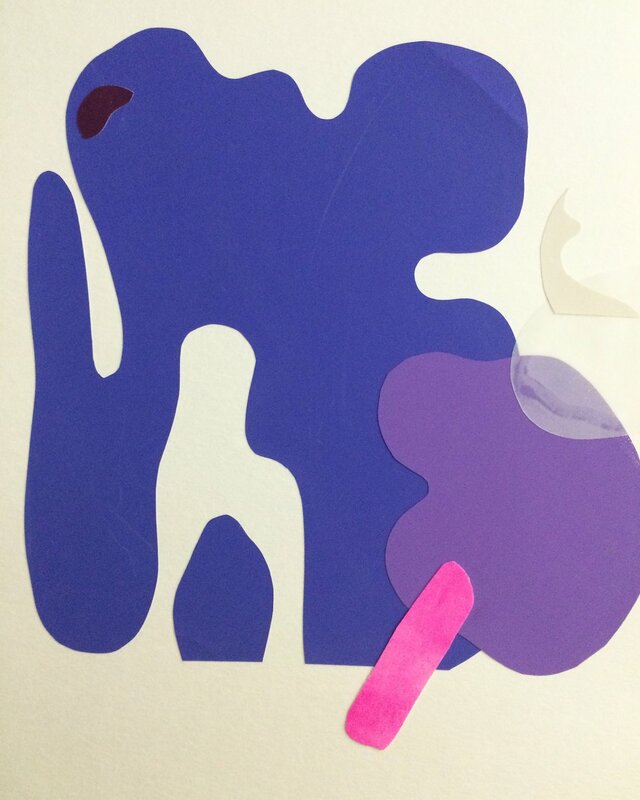 I have made over 60 collages since mid-July when I first posted studio log #1. I think I finally am starting to figure out how to move forward. 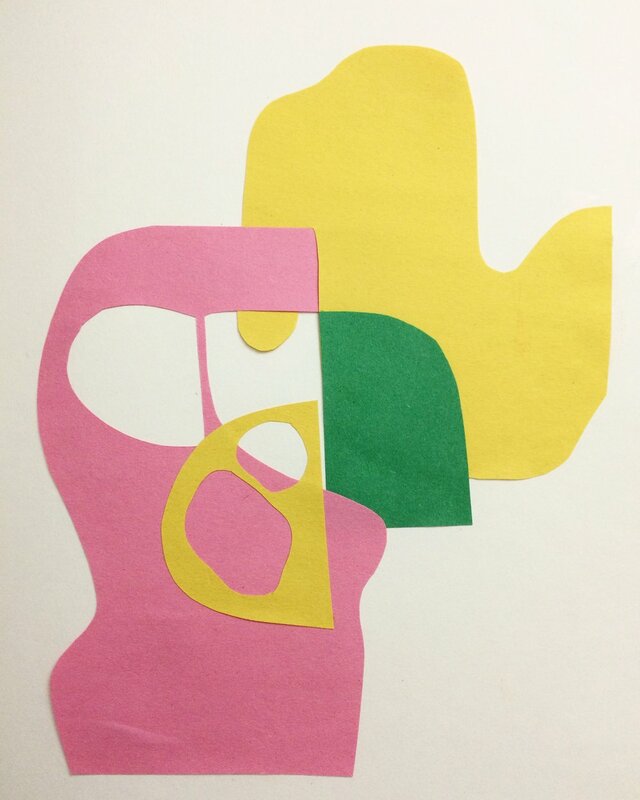 At first, I was using construction papers, randomly cut out shapes which were very similar to one another. However, these helped me a great deal to make decisions fast and permanent, no changing things around when the shapes had already been cut. Then, the bad quality of the construction papers began to bother me as I wanted to pay more attention to colors usage. So, I bought some cheap color-aid papers online. 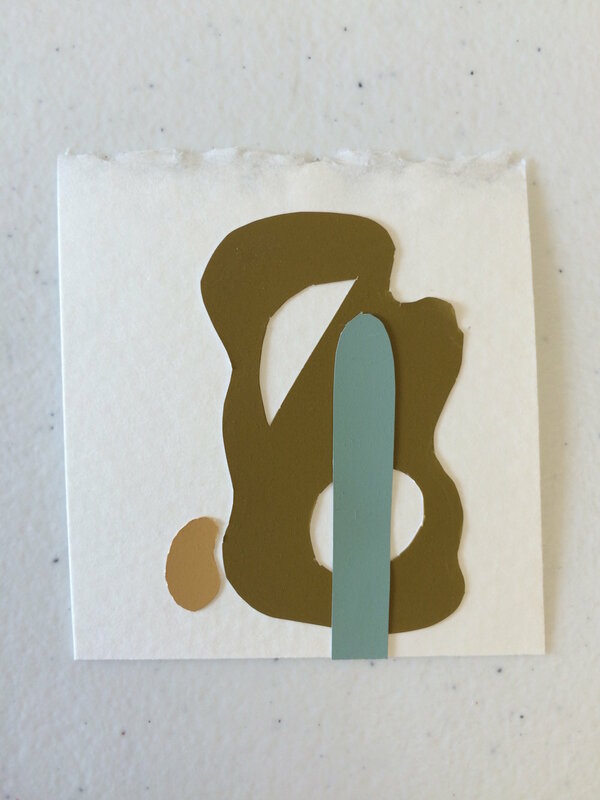 The collages made with these papers were a little bit more thought out, because I had become more comfortable with this method of working and starting to have ideas about what I wanted to achieve. 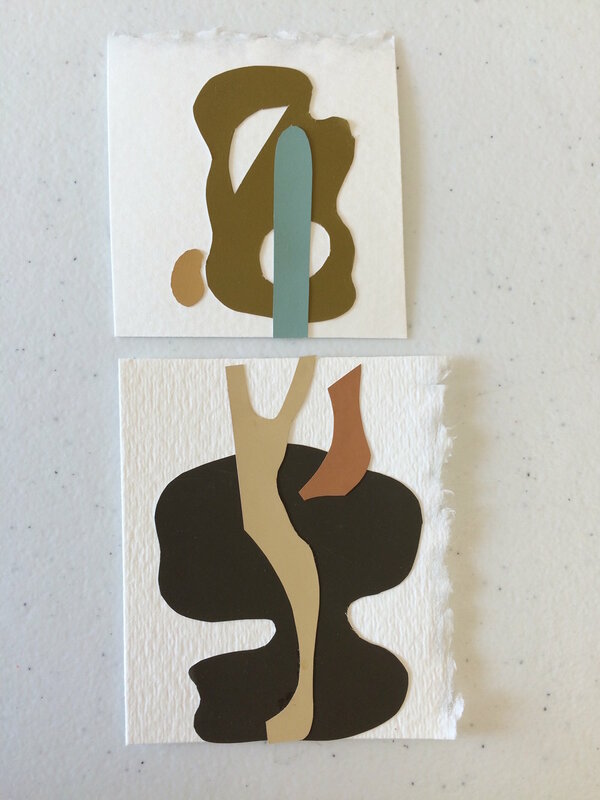 These are a few of the collages made with the color-aid papers. Then I paired some of these together to play around with their compositions. I haven’t paint since May, after my fifth year thesis show. The itch to paint was becoming harder to ignore, but I felt I wasn’t ready to jump right back into using oils again and I thought I should try something new, this gouache study (pictured below) was done. Initially, I wanted to finish it in a day, work fast to not overworked the surface, go with the color choices I’ve already made in the collage it was modeled after, and get the feel for what gouache is like. Throughout the painting process, many little things started to bugged me. First, gouache dries super fast, which I had expected, but it was one thing to know it and another to actually do it. Second, it was hard to work in layers (as I was used to with oils) since the dried layers underneath would be reactivated with the new wet paints on top, making certain areas muddy. Eventually, what was supposed to be a fast study became a two-days worth of work and I’m still not happy with how it turned out (especially compared to the original collage, which I thought is better than this gouache study). I did like some areas in the gouache study though, and learned some things about using gouache. Maybe, if I keep pressing on, and I do want to work in a new medium, then I will eventually get the hang of it. Gouache study after Collage #48, 2016. 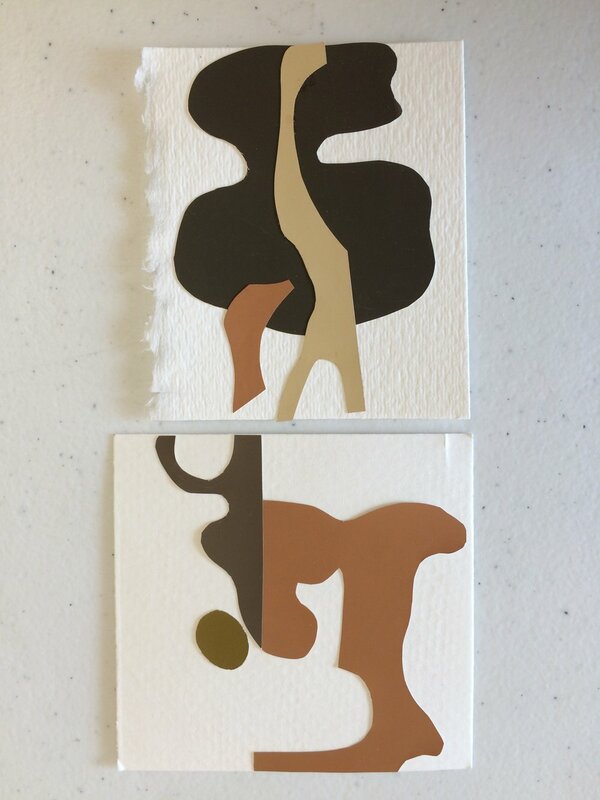 The difficulties I had with this gouache study make me think of: 1) why can’t these collages be the final works instead of as sketches for paintings? 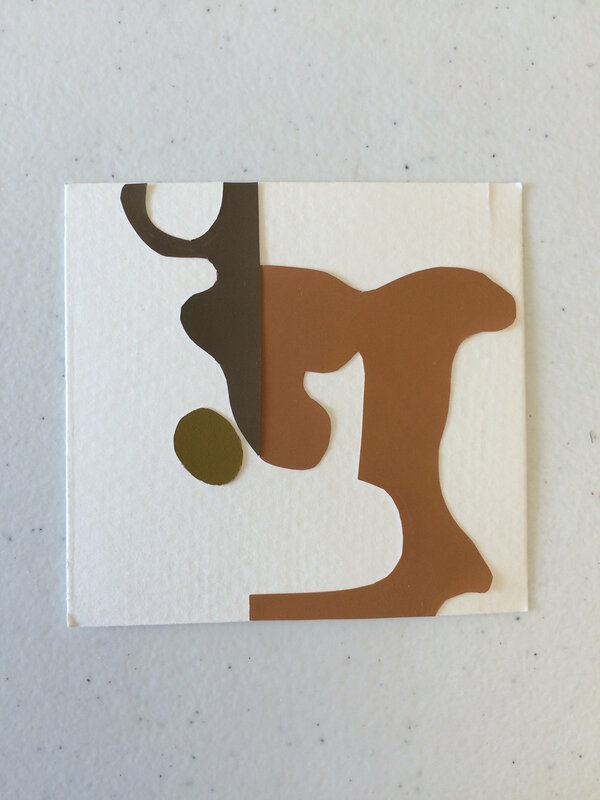 and 2) what is the role of observation in this series of completely non-objective works I’m making? Is observation not important to me anymore? 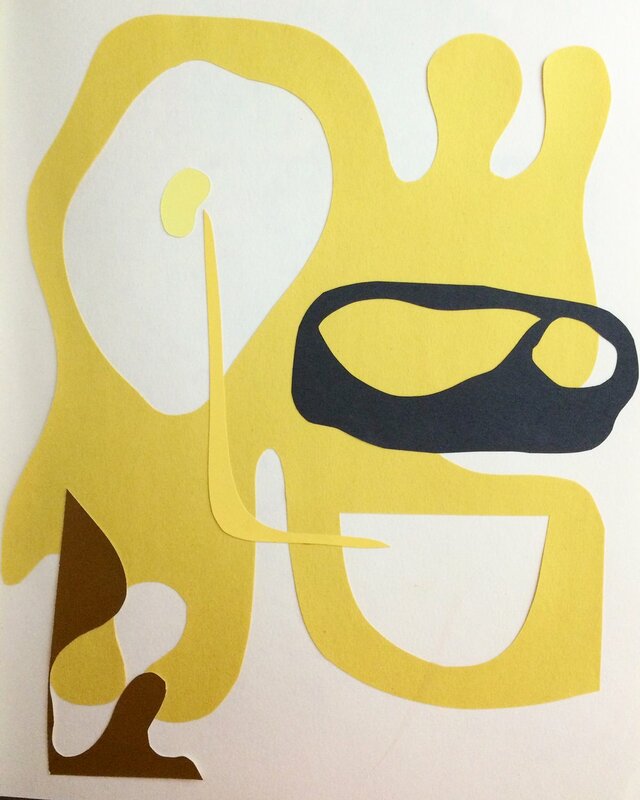 Also, Jean Arp is a revelation. I just realized how much I was influenced by him after making all these collages. Incorporation of various sizes objects/shapes within a composition. Have more open compositions (be more thoughtful about negative spaces, more decisive). More aware of the edges and how they play into the composition. Not afraid to go toward the non-objective route. Be more aware of background/middleground/foreground and how to utilize/play with these in a more engaging/interesting way. Start to adopt a more methodical approach to archiving works I produced and how to use this archive to reflect on my progress (or lack of it). A lot of the things on that list should be common sense thing for an art student to have at least acquired some level of competency over, but apparently I’m just that slow. Nevertheless, I am making more progress and trying out new things. That is good enough for now. I am an art student, learning and working in Charlottesville, VA. Studio Log #3: Painting??? Printmaking?? ?